California state prisons are to begin implementing a plan for the unsupervised release of up to 40,000 non-violent inmates and are required to train staff on non-revocable parole eligibility by Jan. 21, according to a memo sent from the State Department of Corrections. In an exclusive, CalCoastNews learned of the Nov. 25 memo sent statewide to prison wardens and counselors. In September, lawmakers passed legislation that requires prisons to implement a program of prisoner release under non-revocable parole by Jan. 25, 2010. Parolees under the new release program will not be required to check in with parole, take drug tests, have a parole officer and are not subject to hearings for parole violations. Under the new program, law enorcement agencies are permitted to make warrantless searches of prisoners’ abodes and property. In the past, parole officials have returned between 70,000 and 80,000 parolees to prison each year for violations that include missing meetings, failing drug tests and committing crimes. Prisoners convicted of sexually violent crimes or serious felonies are not eligible for the new program. As of Dec. 14, prison counselors will begin classes focused on how to determine if a prisoner poses a high risk of re-offending, according to the memo. However, the program does not address a quagmire of prisoner release issues. Opponents fear the release of thousands of ill and indigent persons to the streets of California at a time of massive unemployment could have dire consequences. In February, a panel of three federal judges ruled that because of overcrowding the state must reduce the prison population by as many as 57,000 people over two years. 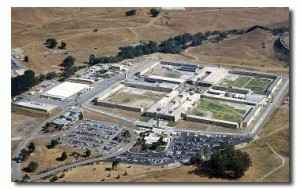 The 33 prisons in the California prison system are designed to house 80,000 inmates yet the population is over 150,000. Booty JuJu your are a a$$,we should all just sit around and smoke a bowl if you had things your way,we take every piece of shi! that comes from every corner of the planet and welcome them legally or illegally into this country because the liberals think we have endless water schools housing and medical available.Even if %140 of theses people are innocent the rest have violated society laws,period! Hi Robert1, this discussion concerns state prison inmates not emigration issues. .Being nonpartisan, CCN is not a soap box for personal partisan postulations. Booty JuJu is a troll, best to ignore him, name calling is against the guidelines when directed to a particular poster/name…so I am using your comment as an example of a personal attack Derail &Do Not Feed The Troll comment. Read the guidelines again and pretend that you are an invited guest in the CCN living room, welcome. When it comes to incarcerating its citizens, the US is unequivocally beyond batsh*t crazy. Totally and utterly barking, drooling, blabbering insane. No other country on the planet even approaches our incarceration rate, and the average zombie citizen, if given their druthers, would be happy to see that rate increase. We have an incarceration rate of 762 per 100,000 residents, the highest rate in the entire world, dwarfing those of other democracies like Great Britain (152 per 100,000), Canada (116), and Japan (63). Praise be to Jesus. Ten percent of black males between 25 and 39 are chillin’ in prison. Glory hallelujah. Twenty five percent of the prison population in 55 or older. Prison F*cking Nation, baby. The American Way. Let Freedom Ring. In God We Trust. This would be little more than a sick f*cking joke were it not for the fact that tossing citizens into prison and melting the keys has become a ginormous profit center for everybody involved in the process. Everybody from the cop who makes the initial arrest, the entire so-called criminal justice process, through incarceration and parole, their very livelihoods depend on a continuous and growing river of hooked up humanity. And has that river grown. Starting in 1980 the number of incarcerated citizens has shot to the moon in a still-unbroken trajectory. The War On Drugs. Three Strikes. Mandatory Sentencing. One in every 31 American adults is either in prison, on parole, or on probation. One in 31. One in every 18 men are either in prison or being monitored. Land of the free. You are f*cking kidding me, right? In a nation run by swine, all pigs are upwardly-mobile, at least until we manage to pull our sh*t together. Not to win, mind you, but just to avoid being utterly screwed. Between the strong-arm robbery of it’s tax paying members, and the imprisonment of as many of the rest that they can manage, you do know who is going to pay for the profligate criminality of our government of “civil servants” don’t you? Your kids. Your children. You know, the ones you are busy preparing for life. The ones you are currently sacrificing everything for in order to make sure they can stand on their own two feet and be independent in life. Their dreams, their ambitions and their futures have been pissed up the f*cking wall by civil servants that you pay for. An entire generation has been committed to little more than slavery to the State because of the excesses of yet another generation of brain dead, greedy, religious, self-important, high fallutin’ Government bureaucrats. Whilst you toiled, they’ve been spending it faster than any of us could earn it. So fast in fact, that your children, perhaps yet unborn, are going to have to pay for the rest of their lives, at the very least. What the f*ck is wrong with our society that we can allow our Government the free reign to impoverish and imprison an entire generation? Yes, I’m talking to you in your three bedroom rancher, with the SUV in the garage, plasma tv blaring out in the background and organic avocados in the fridge. Yes, you f*cks. Why did you do it? I know you voted primarily because some grinning c*cktrumpet snake oil salesmen looked like “nice people” at the time. Or attended a church you admire. Or someone on the radio or tv told you to. Now they are now multimillionaires and couldn’t give a flying f*ck about you, your subscription to the gym or little Chlamidya’s extra math lessons. They don’t care that the BMW needs a service and because the market for asset managers is a bit low at the moment, Keith, your boring husband is out of work. Do you really think they give a sh*t? Do you think a single elected official would wipe you off their shoe? Do you think a single so-called civil servant feel the pain you do? DO THEY F*CK. They are on fully indexed pensions, fat on the excesses of Government union contracts and protections. While you bite your nails to the quick dreading what the postman will bring in the morning. Propecia and Euphrates are not going to be lawyers. They are going to be highly taxed peasants, spending decades paying off what the government spent in a social f*ck up of frankly monumental proportions. You’ve been had. Utterly had. More than that, you gambled your children’s future on 8 magic beans laid out in front of you by people both elected and not, but in all cases paid for with your hard earned. Whilst you slept, civil servants set about making sure that any rebellion by your children can be quickly quashed. Tax the living sh*t out of them. If that fails, simply toss them in prison. Every civil liberty taken from us in the last 29 years is now set to trample your children into the ideal fodder for yet more abuse from the government. They are children born into slavery. Bonded labor if you wish. And you did it. The rush for pavlova instead of pudding, the necessity for nail salons and the (unread) Smithsonian on the coffee table to impress the guests has seen America sell not just its soul, but its children to the highest bidder. Look around the room. Find ONE THING the State does not regulate, control, tax or monitor. This has happened in less than 50 years and we allowed it to happen. Government Gangsters took everything, absolutely everything from us, including our children’s futures. Their birth certificates are just gilts to be sold to the highest bidders. We are the New Soviets. We must be truly insane. Prepare yourself for the day when your children are quite rightly going to ask how the hell it came to this. Bootjuice I love your comment, you are no troll, you have it right, especially this and mine is five, !!!!! Well written and the truth!!!!!!!!!!!!!!!!!!!!!!!!!!!!!!!!!!!!!!!!!!!!!!!! And the EFI shysters get a light sentence, this maybe related, kind of encourages the criminal mentality doesn’t it, 40 cal, hell with that they have a new ten shot twelve gauge semiautomatic out,put slugs in that and you just might take out a bad neighbor too, oh well, hell is on it’s way be prepared, fight crime shoot back! Practice and remember how many rounds you have left in the gun and practice reloading, hell with reloading, throw it down and grab another gun, stock up! Watch the terminator again this is what we are going to face, remember my cousin, and they haven’t even let them out yet, share the jobs and the wealth and maybe they won’t pick your door to kick down and I don’t mean the police! Releasing people for non violent crimes has me pondering the fact that apart from those caught with marijuana the rest of them are a concern. Those would be people who commit fraud like identity theft, embezzlement, burglary, car theft, set up ponzi schemes, forgery, copyright infringement, manufacture meth and I can go on. These people create havoc in honest citizens lives and we are going to have 40,000 of those individuals running loose in our state all at once and unsupervised. Even if half have learned their lesson or didn’t belong there in the first place, this is going to create havoc. I guess we can all take extra precautions to secure our helms but this isn’t about revisiting criminal cases, it’s about letting out the least dangerous 40,000 inmates, not exactly reassuring. The upside is that there will be room for Gerahart, Miller, and the likes of them. Atascadero Firearms has .40 caliber ammo on sale. jlwils’ comment should be engraved in granite and displayed in a monument at Sunken Gardens. Booty_Juju is right: couldn’t they just save time and lock up the entire populace of Atascabama? You wonder how many of these to-be-released non-violent offenders should never have been incarcerated in the first place, though the lack of parole supervision seems worrying.